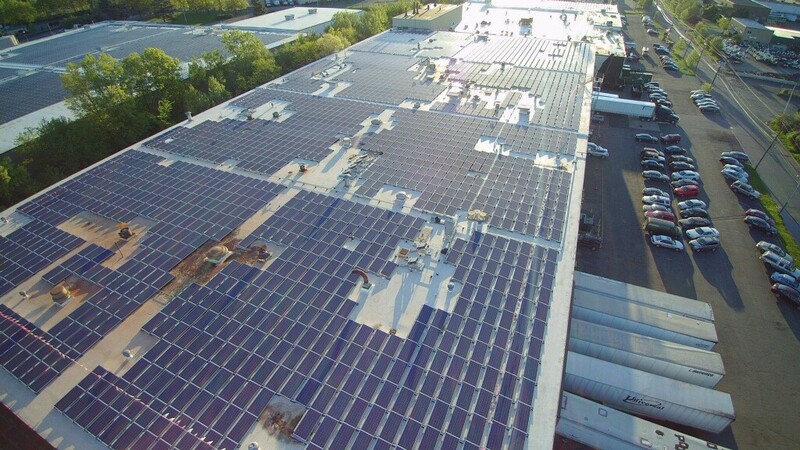 TOTOWA, N.J. — Precision Custom Coatings, a global leader in production, design & distribution of laminated solutions & nonwoven products, partnered with Dynamic Energy Solutions, LLC (Dynamic Energy), a turnkey solar energy solutions provider, to install a 1.4 MW rooftop solar system at their Totowa, New Jersey facility. The system is expected to produce approximately 1,800 MWh of energy during its first year which will offset electricity at the facility. The solar system is expected to save Precision Custom Coatings an estimated $6.5 million in energy costs over 25 years. The installation of the solar system will also help Precision Custom Coatings reduce their carbon footprint by eliminating approximately 1,333 metric tons of carbon dioxide, the equivalent of powering 200 homes or removing 285 passenger vehicles from New Jersey roads each year. The project is eligible for the New Jersey SREC incentive program, which will provide Precision Custom Coatings with significant revenue for the next 15 years, in addition to energy savings.